When You May Need to Unblock Pandora? When you try to access Pandora from outside the United States, you’re automatically redirected to a restricted access page. This can be frustrating, especially if you’ve already signed up for the service when you were on American soil. At the same time, if you have an iPhone or iPad, you’ll have noticed by now that the Pandora app features prominently as one of the best music apps available in the market. In our opinion, it certainly beats logic why Apple users shouldn’t have access to premium apps when they already have the merchandise needed to access it in the first place. When you access the Pandora site on your laptop, tablet or phone, the site’s sophisticated detection algorithm system comes up with your location based on you IP; this is what’s used to determine whether you’re based in the US or not. How to get Pandora Unblocked? 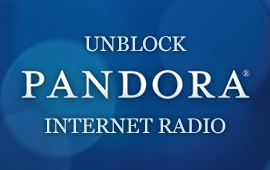 A VPN, also known as a virtual private network, is one way to get Pandora unblocked. This is because it allows you to change your IP address, as well as encrypt your internet connection, in order to access the music streaming service. 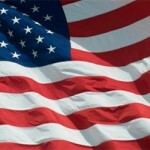 A VPN service typically lets you hide your IP, allowing you to get Pandora unblocked outside the US. After connecting to the VPN, you’re provided with a new IP address, and your encrypted information is passed through a privacy tunnel, allowing you to effortlessly unblock Pandora music. Another way to unblock Pandora is Smart DNS. It doesn’t change your IP address and doesn’t encrypt your connection. All it does is unblocking Pandora and other geo-restricted websites. The best part is that compared to VPN it doesn’t affect your internet speed because of the lack of encryption. CactusVPN is the best bet for your Pandora music needs. We believe that everyone should have access to the internet, no matter their geographic location. CactusVPN has a range of plans for you, starting from as low as $4.99 a month. You get both VPN and Smart DNS giving you a worldwide passport to enjoy the best of music from Pandora, as well as other US-based services. CactusVPN is easy to use, and there’s no complicated software installation process involved. All it takes is a simple download and a few clicks, and you’re good to go.